The mission of the Aiken Land Conservancy is to preserve natural and historic resources through land conservation. Learn more about how you can help support our mission by becoming a member. 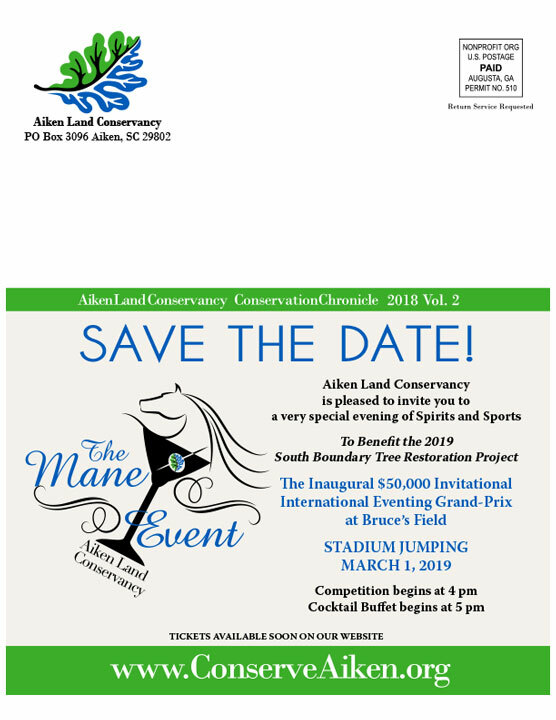 © 2019 Aiken Land Conservancy. All Rights Reserved.